Each of six themes has its own quilt using the vocabulary for that theme. 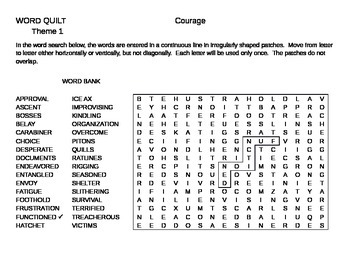 Unlike other word searches, in this one the words are patches to a quilt. Answer key provided.